Scrubs have their benefits of course - they remove dead skin, increase collagen production, brighten the skin, treat hyper-pigmentation and reduce minor scarring. However, they also have their weaknesses. Psychical exfoliators can cause irritation, particularly to those who suffer from sensitive or acne-prone skin. Overscrubbing or abrasive scrubbing can also lead to dehydration, redness, and premature aging. To make matters a worse, psychical exfoliators can cause tiny tears on the skin. Regardless of the dangers, psychical exfoilators are just messy business, adding too many minutes to a skincare regime. The solution to these exfoliating woes? Chemical exfoliators. These bead-free beauties provide the same exfoliating benefits of scrubs, without the risk of skin damage (unless you overuse them, of course). The two most popular types of chemical exfoliators are AHAs and BHAs. AHAs - also known as alpha hydroxy acids - are water soluble, working just on the surface of the skin to gently dissolve the bonds between dead skin cells. They reduce the appearance of fine lines and treat pigmentation. They’re best used on normal to dry skin, due to their ability to enhance natural moisturising factors within the skin. AHAs include glycolic acid, citric acid, mandelic acid and lactic acid. 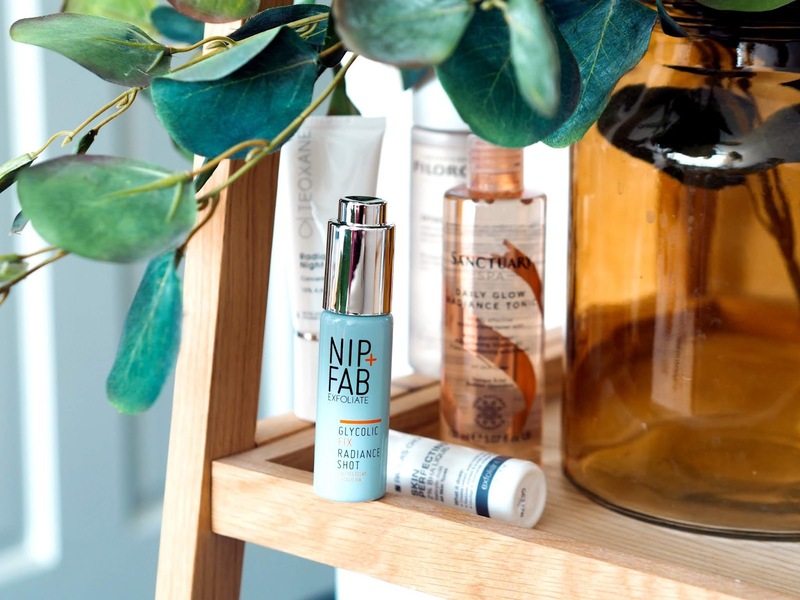 If you want to get hooked up with a good AHA, I recommend the Nip & Fab Radiance Shot (£19.95 birchbox.co.uk). Containing a mixture of glycolic acid, fruit acid and amino acids, the radiance shot creates luminosity whilst also nourishing the skin with aloe vera. A great affordable option is the Sanctuary Daily Glow Radiance Tonic (£10 feelunique.com). This gentle tonic exfoliates pores to accelerate cell renewal and even skin tone. It includes 5% glycolic acid, as well as skin-brightening vitamin B3 and skin-conditioning witch hazel. For something packing more of an acid punch, I recommend the Teoxane Radiant Night Peel (£40 effortlessskin.com). Containing 15% glycolic, this powerful exfoliant encourages the release of outer dead skin cells over a period of a few days and stimulates new cell growth for glowing, more youthful-looking skin. Unlike AHAs, there is only one true BHA - also known as beta hydroxy acid - and that is salicylic acid. BHAs are oil-soluble, so they can work beneath the skin’s surface, as well as on it. It is the perfect partner for those with normal or oily skin, as well as those prone to congestion. It also has natural skin-calming properties, so it’s gentle enough for sensitive skin prone to redness and/or rosacea. 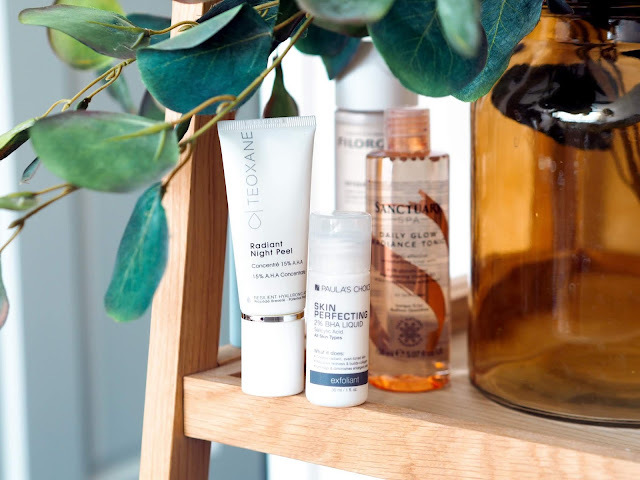 If you want to get acquainted with one of the best BHAs in the game, I recommend Paula's Choice Skin Perfecting 2% BHA Liquid Exfoliant (£26 birchbox.co.uk). This skincare legend dissolves dead cells and unclog pores like a pro, delivering a more even and refined skin texture. It is a leave-on formula that fully absorbs in seconds, giving you time to get on with your goddamn life. The daily treatment also contains antioxidant-rich green tea extract to soothe skin and repair redness. Now - if you're looking for a chemical exfoliator that contains both AHAs and BHAs, you should try the Filorga Oxygen Peel (£20 feelunique.com). Containing gluconolactone, glycolic, citric, mandelic, salicylic and phytic acids and hyaluronic acid, this impressive lotion moisturises and exfoliates all in one application. 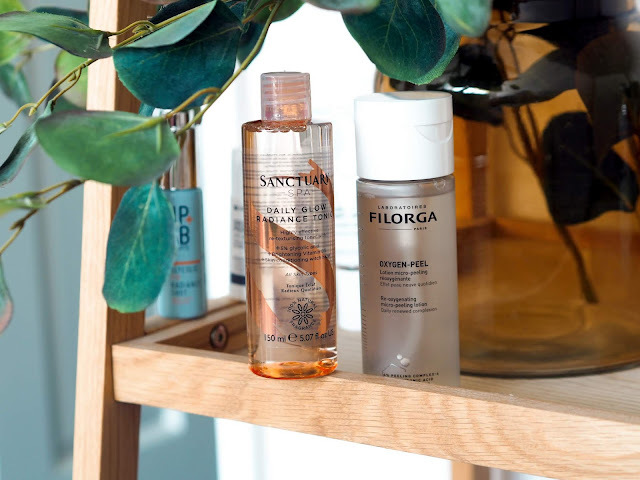 Designed to be used after cleansing, Filorga's Oxygen Peel absorbs quickly and has a well-pump bottle for easy application.